Using vinegar for more than making your favourite slap chips! 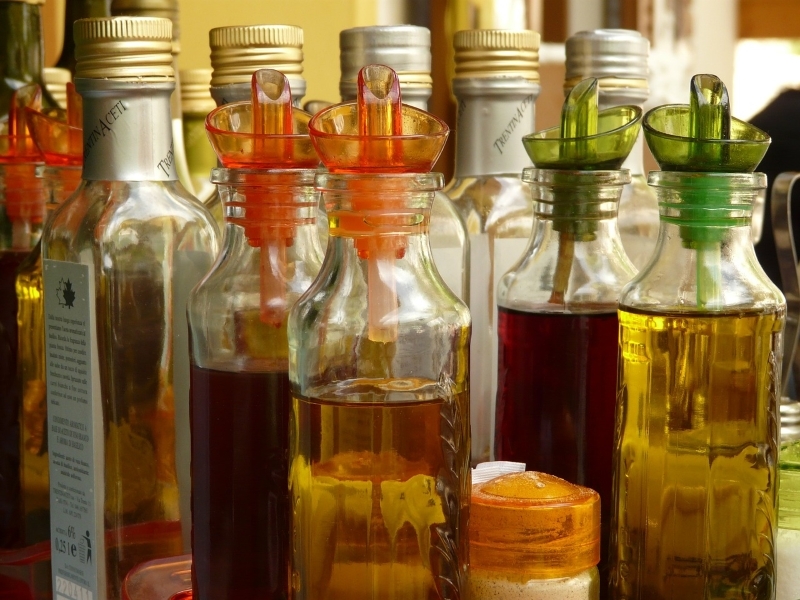 Few people realise the multiple uses of vinegar in the home. Firstly, it is an all-natural product, making it a far wiser choice as an alternative to harsh and strong-smelling chemicals. Secondly, vinegar can be used in a huge variety of ways, from flavouring a plate of chips to cleaning your shoes. 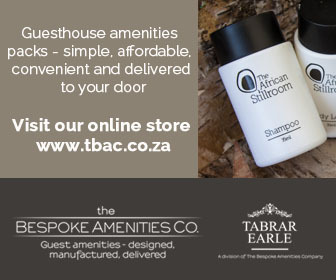 The following tips can be used in your home, your accommodation establishment and even outdoors. They can be found in a book called Great Uses of Vinegar, courtesy of www.vinegarbook.net . Vinegar is an ancient by-product of grapes, and in fact was discovered by accident over 10,000 years ago when the liquid in a barrel of wine that had gone “sour” was found to have “magical” healing and soothing properties. Oh, and somewhere along the line someone spilled it onto deep-fried potato chips, causing a sensation. There are many uses for vinegar even in our modern age, and here are a few that you can use in your home and accommodation establishment. When using vinegars to pour on salads and other things edible, by all means buy the more expensive varieties. However, if you are using it for cleaning and other domestic uses, go for the cheapest (usually white) vinegar. Freshen your bread box. Are you searching for a fresh and clean breadbox? After you clean your bread box, wipe it down with a cloth dampened with vinegar to keep your breadbox smelling sweeter longer. Fruit stains on your counter? Use full strength vinegar to get that stubborn stain out. Faucets. Do your faucets need a quick shine? Remove soap and lime build up by using two tablespoons of vinegar with a teaspoon of salt for a quick shine. Ovens. Cut your oven cleaning time in half by using vinegar to wipe down and cut grease fast. Pots and pans. Do your pots and pans have stubborn stains that you just can’t wait to clean? Soak that pot with vinegar for a quick thirty minutes then use hot soapy water to wash. Another method is to simply fill the pot with a solution of 3 tablespoons vinegar to half a litre of water. Boil until stain loosens, then wash it away with soap and water. Cutting boards. Does your cutting board leave something to be desired? Is it looking tired and worn out? Use vinegar to disinfect the wood board and clean tough stains. Refrigerator smells. Do you have trouble with a stinky smell in your fridge? Wash the inside with vinegar and water to keep it clean and smelling fresh. Slow Drains. Use vinegar to unclog drains. Pour a handful of baking soda down the drain and then add 1/2 cup of vinegar. Rinse with hot water to get your drain going again! You should do this two or three times a day for a stubborn drain. Bottles. Use vinegar to clean the unsightly film in small-neck bottles. For tougher stains add rice to the vinegar and shake vigorously. Hot plates. Use a mix of 1 part salt and 1 part vinegar as a rub to get hot plates, griddles and pans looking brand new. Fine China. Add a cupful of vinegar to a sink full of clean rinse water. Dip your fine china and glasses in and let them air dry for a fabulous shine. Microwave. Clean your microwave by boiling a solution of a 1/4 cup of vinegar and 1 cup of water. As the mixture heats it will loosen splatteres of food, and deodorise at the same time. • Coffee makers. Clean your coffee maker by letting vinegar boil through the maker. This cleans out all the little parts, resulting in a great tasting cup of coffee! Mould and Mildew. If you have a problem with mildew in your kitchen, wipe down your walls with vinegar once a month, protecting the walls from re-growing the mould. Washing machine care. To keep your washing machine fresh and rust free, periodically pour a cup of vinegar in the machine, and let it run through a cycle with no clothes in it. This will dissolve soap residue, break down rust, and keep the musty smell of water under control. Tomato sauce stains. Get rid of tomato sauce stains on table linen by soaking the item in a solution of half water and half vinegar. Once the stain has loosened, wash it as you normally would. Wine stains. Vinegar will remove wine stains. Dab the stain with vinegar and let it sit for about an hour before washing the item normally. Sparkling toilet. If hard water marks your toilet bowl, then use three cups of vinegar to scrub the surfaces. This inexpensive method really will clean. Carpets. When you scrub your carpets, add a cup of vinegar to the solution. Fireplace bricks. Are you having trouble finding a quick and easy method to clean your fireplace bricks? Straight vinegar will do the trick. Wallpaper removal. Use a solution of vinegar and water to loosen stubborn wallpaper. Gently pull the wallpaper off and remove the excess glue by wiping with the solution. For the rest of the tips, and to download your own copy of Great Uses of Vinegar, visit www.vinegarbook.net .